Every driver has pivotal moments in their careers: the successes or failures that make or break them. And there are some events that count for more than others: the reason why Formula 1 legend Fernando Alonso, for example, has his heart set on what is known as the ‘triple crown’: victory at the Monaco Grand Prix, Le Mans 24 Hours and Indy 500. This means more to him than just another title in Formula 1, underlining the fact that some events add up to more than the sum of their parts. Another one of those events is the recently-held Macau Formula 3 Grand Prix, whose former winners include people like Michael Schumacher and Ayrton Senna. At the time, of course, they were all young drivers building their careers, rather than the legends they are now. It’s impossible to adequately describe the flat-out rollercoaster ride that is Macau: suffice it to say that it’s a cross between Monaco and Spa, combining the technical complexity of a street circuit with the outright speed of the most challenging drivers’ track in the world. Because winning in Macau means so much, the young drivers taking part put everything on the line. Last year, two drivers crashed on the very last corner as they were fighting for victory; this year, the race will be remembered for the terrifying airborne accident involving young German racer Sophia Flörsch – from which she miraculously expected to make a full recovery. The winner of this year’s race was Red Bull Junior Dan Ticktum, who has already been previously linked to a Formula 1 seat with Toro Rosso. This latest success – the most important of his career so far – will have done his future prospects no harm at all. He’s only 19 and of course like all young drivers he makes mistakes – the most serious of which was at Silverstone in his native England in 2015, when he drove into a rival on the slowing-down lap as an act of retaliation following an altercation during the race. This earned him a year’s ban – but as young superstar Max Verstappen has already proved, Red Bull isn’t afraid of a bit of fighting spirit. It’s just a sign of the single-minded determination needed to get to the top. But determination by itself isn’t quite enough to make it to the top. The opportunities need to be created to demonstrate that determination. Until being picked up by Red Bull, which then funded his racing and provided him with a global media platform, Ticktum had to hunt hard to find the money to go racing with and publicize his achievements. He progressed from karting to the MSA Formula ­– and with that moment of madness in Silverstone, he came terrifyingly close to losing it all. This is where RaceCoin could probably have helped him. As well as being a potential source of revenue, it’s also a community platform: a place where drivers can just let their results do the talking. One of the biggest problems for prospective sponsors is knowing who to back. Even giants like Red Bull get it wrong occasionally: for every driver like Ticktum, there have been others like Scott Speed or Christian Klein who are sucked into the Red Bull system and then spat out. 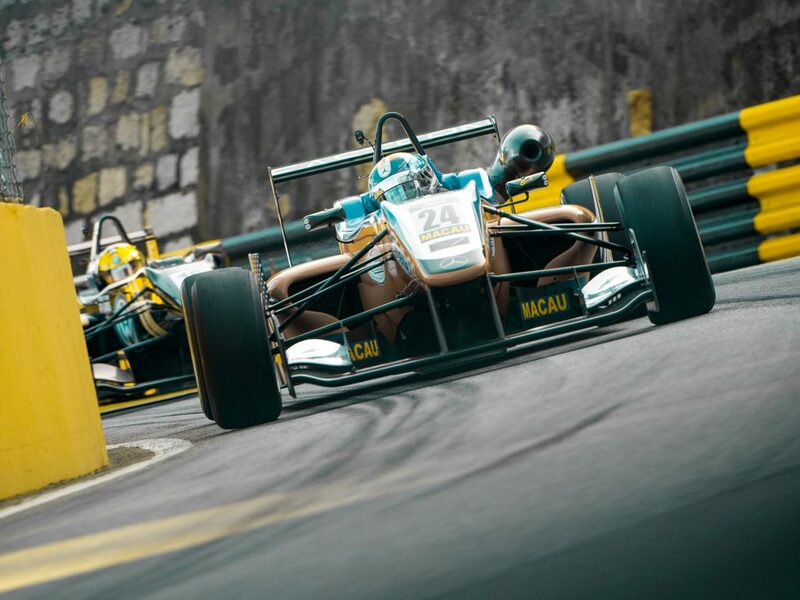 RaceCoin can provide a window into each driver’s true performance from a very early point in their careers – helping to identify the next generation of Macau Grand Prix winners.